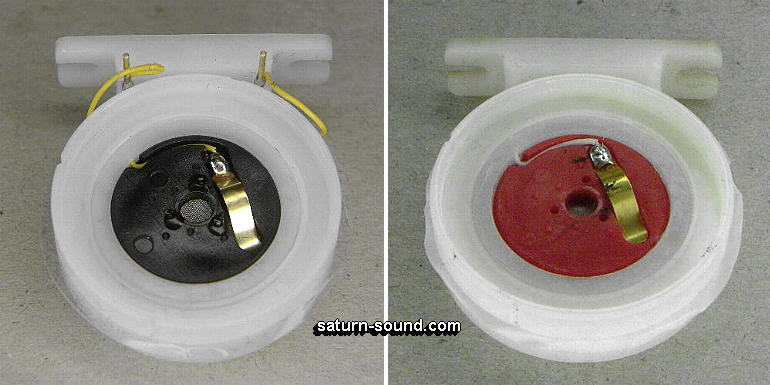 As far as I can tell, the first "Teflon" CK12 style capsule was designed and manufactured, to offer a modern "Smoother / Transparent" sound, to that of it's "Brass" predecessor. Plus, due to manufacturing technique's, production costs would be far cheaper. This was to be designated the 2072 Z 0001. First used during production of the AKG C414EB series microphones (Including the C414E1 "Remote" versions). 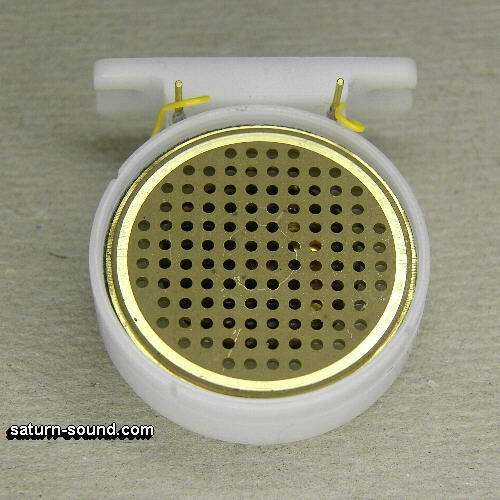 Early examples of these microphones being fitted with the remaining stock of the "Brass" CK12 capsules and later models being fitted with the newly introduced "Teflon" CK12 style capsule. The 2072 Z 0001 was soon superceded by the 2072 Z 0003, 2072 Z 0004 and finally, during the early 1980's, the 2072 Z 0005. The later being still in production today (circa 2009). There has never been a 2072 Z 0002 type capsule. Please Note - For the sake of convenience and unless stated otherwise, then all further reference to the 2072 Z 0005 capsule (on this page), is to imply the complete range i.e. from the 2072 Z 0001 through to the current (circa 2009) 2072 Z 0005 capsules. Throughout production of the 2072 Z 0005 capsules, many variations and changes in the manufacture of component parts have taken place. 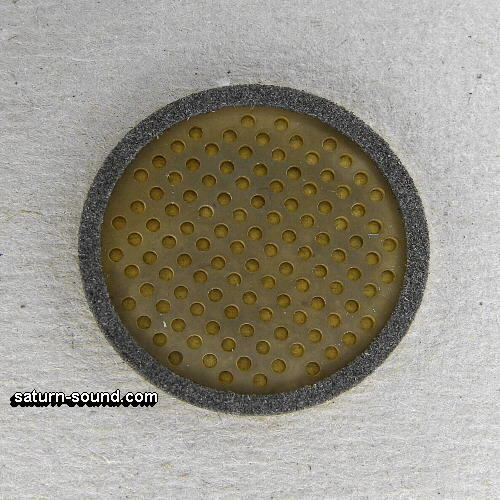 1 - Backplate, "Electrode" - Different material and manufacturing technique's used i.e. etched and machine turned. 2 - Backplate, "Electrode" wiring - Originally wired to a common "Slide-on" contact, later terminated on Brass pins. 3 - Contact "Carrier" - Different colours of material used. 4 - Capsule "Frame" - Different colours of Teflon used e.g. a small amount of capsules being manufactured using "Black" Teflon. 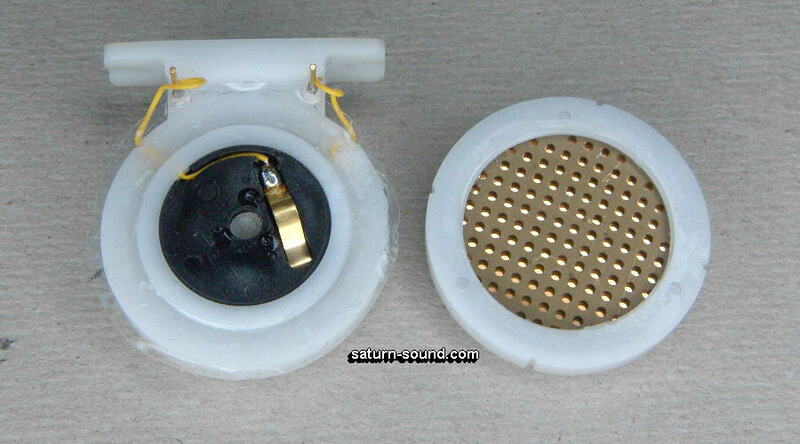 However, the sound qualities stayed constant throughout the series, making the above capsules totally interchangeable. 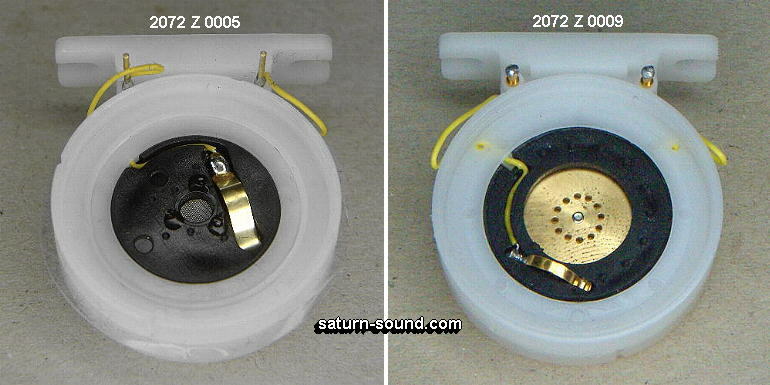 The 2072 Z 0005 capsule, is found to be no match for the original "Brass" CK12. 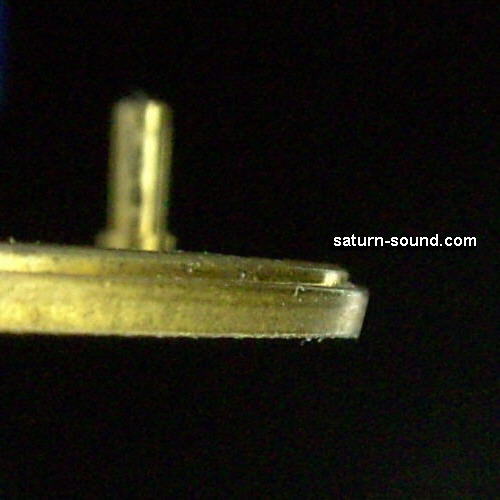 Many engineers and musicians finding the acoustic properties, of these "Teflon" capsules, far less musical and useable, than that of the "Brass" CK12. Production of the "Brass" CK12 finally ceased and the "Teflon" 2072 Z 0005 was here to stay. 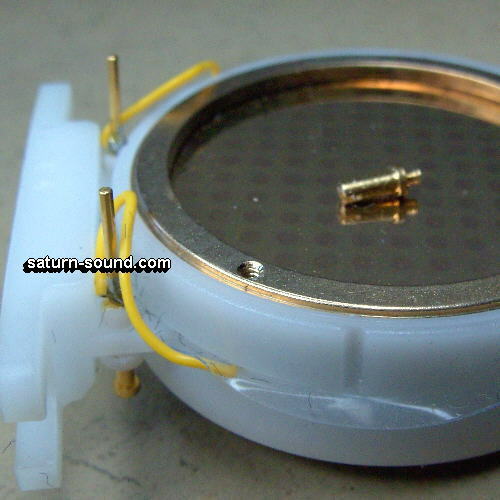 Being used in all of the C414 series microphones, through to the C414B-TL. Also being used in the AKG "The Tube" and the CK4. The later from AKG's CMS range of the 1970's. 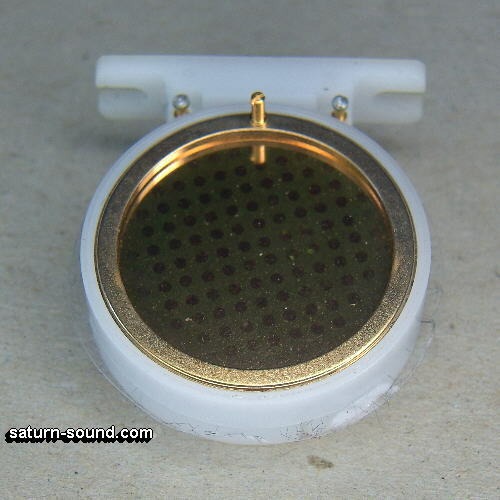 Why could the "Brass" and 2072 Z 0005 capsules sound that different ? 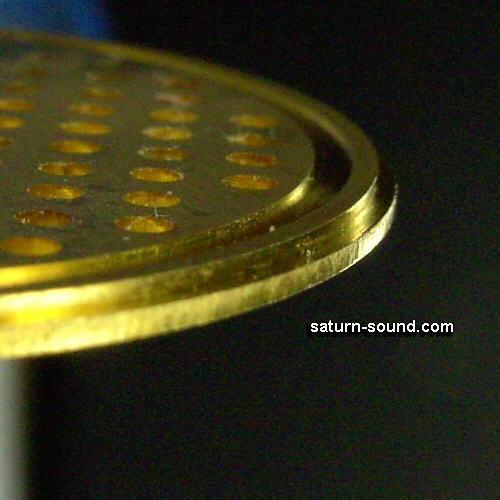 As already mentioned, on the "AKG "Brass" CK12 capsule" page, ..... "The "Brass" CK12 capsule is probably the most complex of any microphone capsule ever manufactured". 1 - The above must surly be one reason why the 2072 Z 0005 is quite different in tonal character. 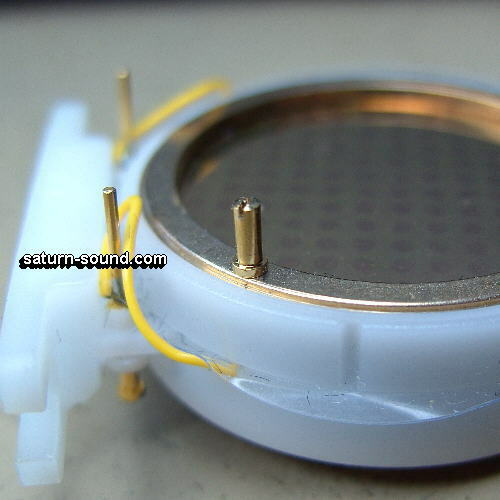 2 - The diaphragm and support ring, 2072 Z 0005, is merely a tight "Snap-fit" into the capsule frame. So, let us take a closer look at the design and assembly of the 2072 Z 0005, then maybe we can appriciate why it sounds different to the original "Brass" CK12. 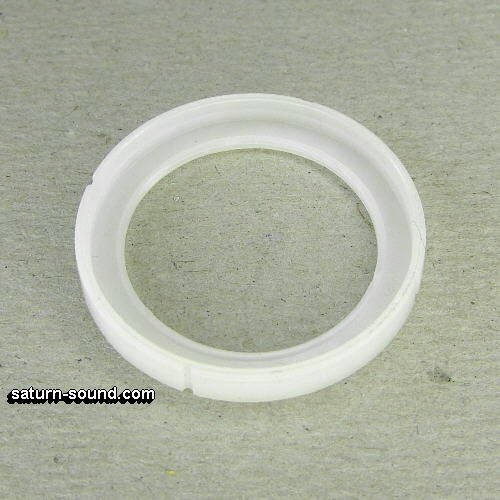 Diaphragm Mounting Ring and Diaphragm. Note the tapered edge to enable the "Snap-fit" into the frame. 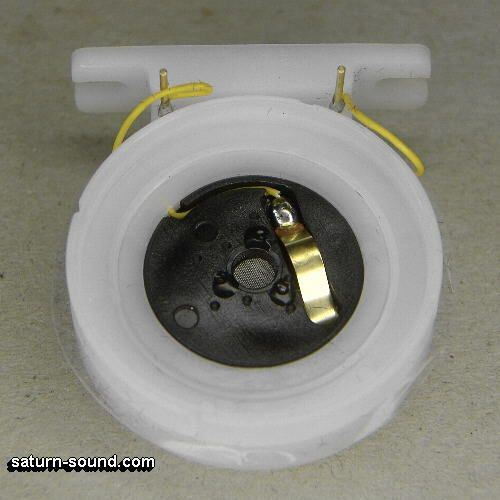 When the above parts are fitted together, we have the removable half of the capsule assembly. 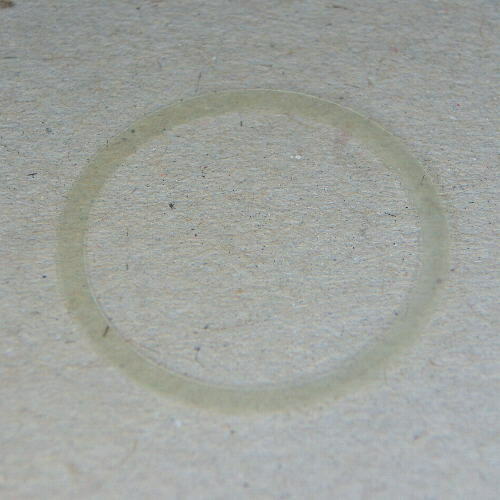 Note that the foam ring, between the backplate and frame, is now compressed. Thus all the parts are "Sandwiched" together. When the parts below are fitted together, we have the Fixed/Mounting half of the capsule assembly. 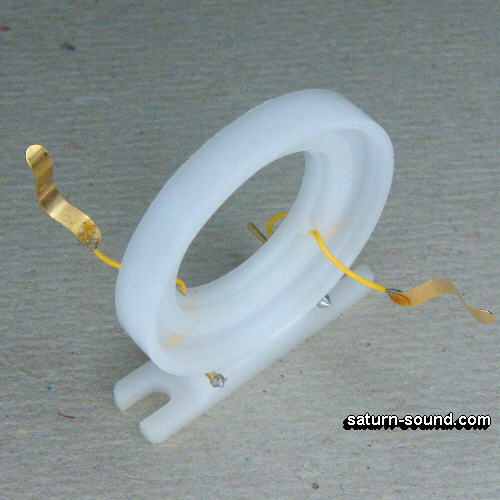 Note that the foam ring, between the backplate and frame, is now compressed. Thus all the parts are "Sandwiched" together. For reasons of clarity, the above drawings did not show one of the most important item that helps to control the "Acoustic" properties of the capsule. 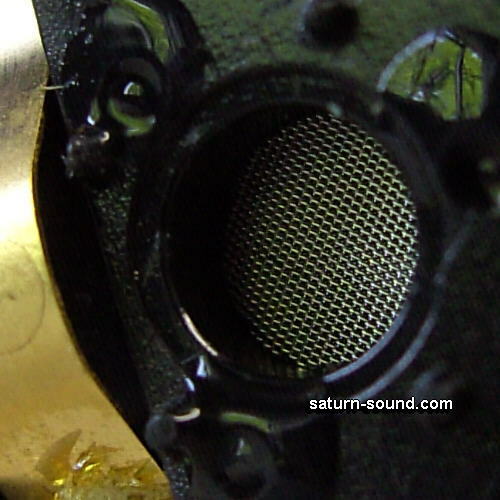 That being the Teflon contact carrier and stainless steel mesh, known as the "Carrier/Damping" assembly. 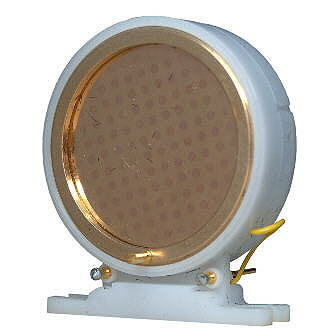 This is used to help control/correct the frequency response and polar pattern of the capsule. 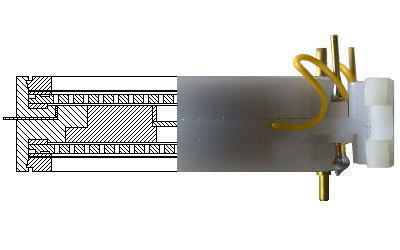 The "Carrier/Damping" assembly consists of 3 parts/components. 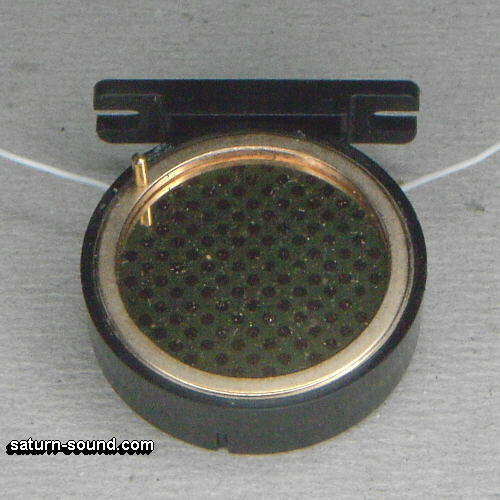 1 - The acoustic mesh "Locating/Retaining Sleeve"
2 - The "Acoustic Friction Element"
The assembly lives in the heart of the capsule, between the rear of the backplate electrodes. Now we have all of the components required to build the 2072 Z 0005 capsule. Let us now dismantle the 2072 Z 0005 capsule, and see what we find ! 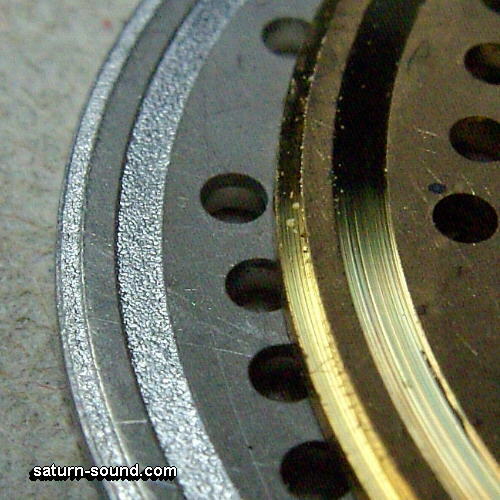 Unlike the "Brass" CK12, where each diaphragm and mounting ring is held in place by 12 screws per diaphragm, the 2072 Z 0005 diaphragms and mounting rings are simply "Popped out" of the "Teflon" frame. The edge of the diaphragm mounting ring is tapered to allow this "Snap-fit" into the "Teflon" capsule frame. 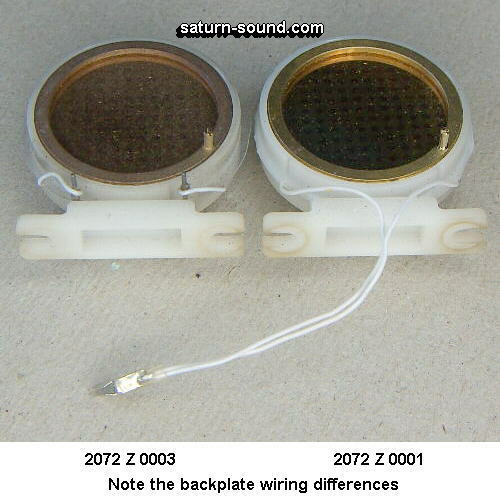 Both the front and rear backplates sharing a common "Insulated" Teflon contact carrier, known as the "Carrier/Damping" assembly. 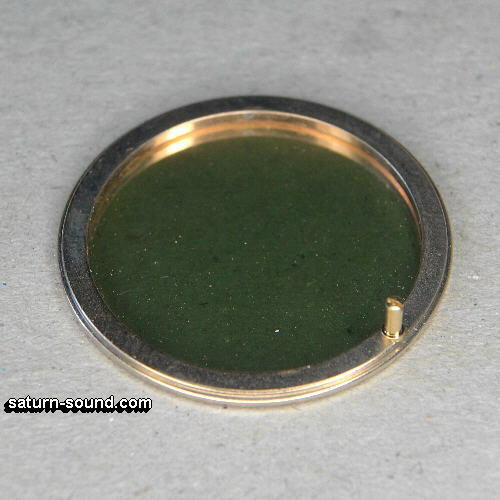 The gold plated brass contacts are somewhat wider than those used in the 2072 Z 0009 capsule. 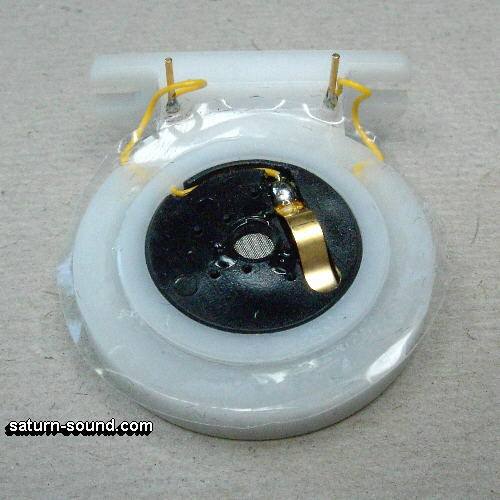 The contact carrier lives in the very center of the capsule assembly and carries two spring contacts, one on either side of the carrier, thus making electrical contact with the rear of the associated backplate when the capsule is assembled. 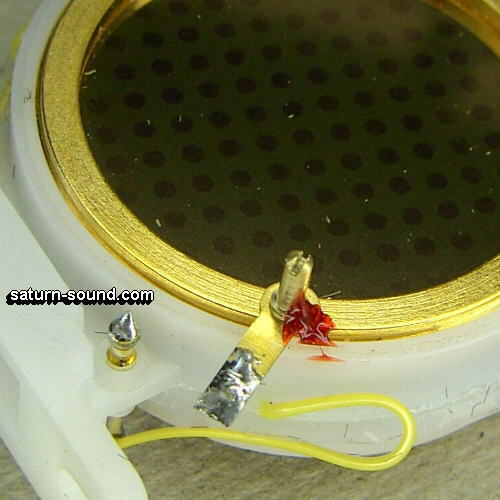 Each one of these contacts being wired out of the "Fixed" half of the "Teflon" frame, to it's respective brass terminal, allowing for connection to the microphone wiring. The "Removable" half of the frame, just being a carrier for the diaphragm and associated parts. 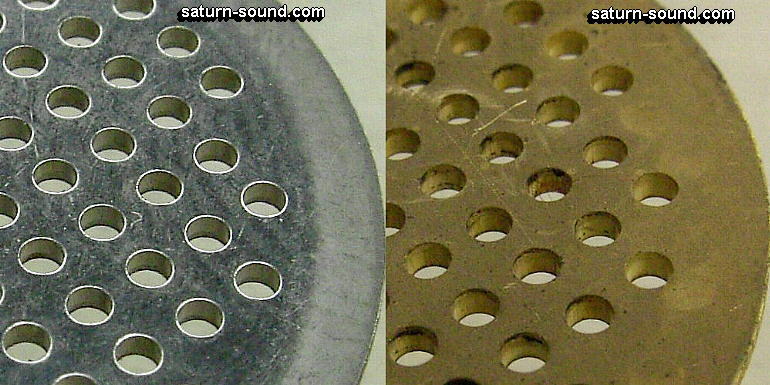 In the center of the Teflon contact carrier, there is a hole of approximately 3.9mm diameter right the way through the mounting. 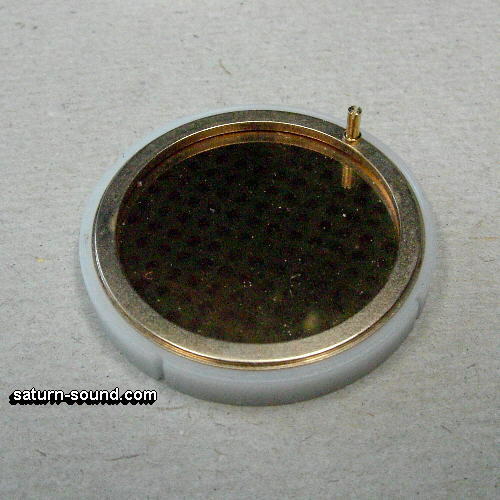 Within this hole is the "Acoustic Friction Element", a piece of very fine stainless steel mesh, which helps to control/correct the frequency response and polar pattern of the capsule. Located and retained in place, by a small Teflon sleeve glued into the carrier. 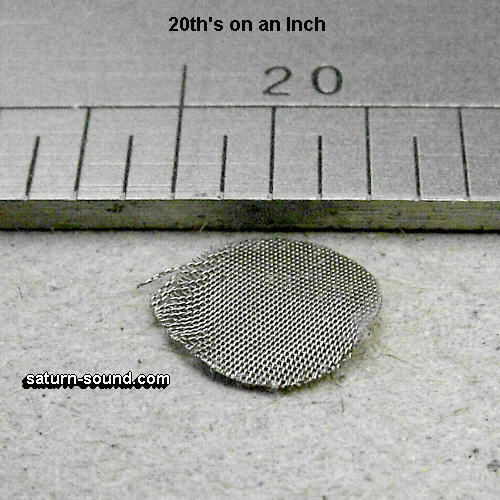 The stainless steel mesh is approx' 0.015 mm thick and the weave of the mesh is approx' 8 holes/mm. A fine/cleaver piece of manufacturing indeed.